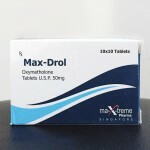 Oxymetholone is an oral synthetic anabolic steroid that was first made available in 1960, by the international drug firm Syntex. 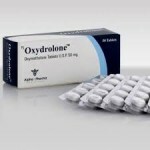 Oxymetholone is used to treat a va­riety of conditions, including hypogonadism and delayed puberty. Androgens are also used to correct hereditary angioneurotic edema, manage breast cancer, promote a positive nitrogen balance follow­ing injury or surgery, and stimulate production of red blood cells. 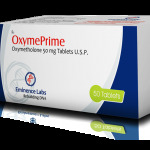 Oxymetholone is also used to promote weight gain and counteract weakness and emaciation re­sulting from debilitating diseases, such as advanced HIV infection and after serious infections, burns, trauma, or surgery. This oral steroid is marketed as a human prescription drug for the treatment of anemia caused by deficient red-blood-cell production. Among bodybuilders and athletes the main effect of Oxymetholone is fast, immediate visible gain in muscle mass. The process of muscle growth is accompanied by water retention that allows the bodybuilders to experience no pain during workouts even with extreme heavy weight lifting. Oxymetholone increases the number of red bloods cells that allows the muscles to absorb more oxygen and to increase rapidly. With the usage of Oxymetholone the muscle become fuller and contract better, and is provided a level of protection in the form of extra water held into and around connective tissues. This allows the body to obtain more elasticity and decrease the chance for injury when doing heavy exercises. Women are not recommended to use it, due its massive virile effects. To increase the effectiveness as an anabolic agent, bodybuilders typically combine Oxymetholone with other anabolic steroids. 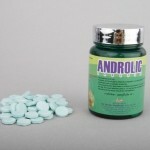 Since it is already a very potent androgen, many users will only use it in cycles with week intra-muscularly injected products such as Nandrolone, Boldenone and Testosterone to reach maximum blood levels.